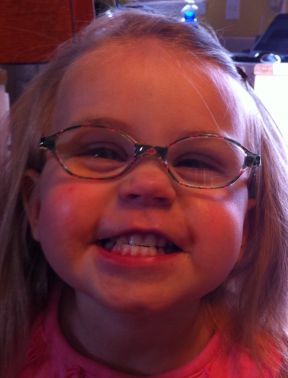 Reese, 21 months, on her first day in glasses. She wears glasses for farsightedness and accommodative esotropa. Glasses from America’s Best.